Last week, Gary Illyes from Google commented that 404 error pages do not cause a Google penalty. Yes, you will lose traffic to those pages if they had been “real” pages previously, but just having many 404s on a site does not cause a penalty specifically because you have many 404s. He was asked follow up questions specifically regarding any inbound links that lead to those 404 pages. 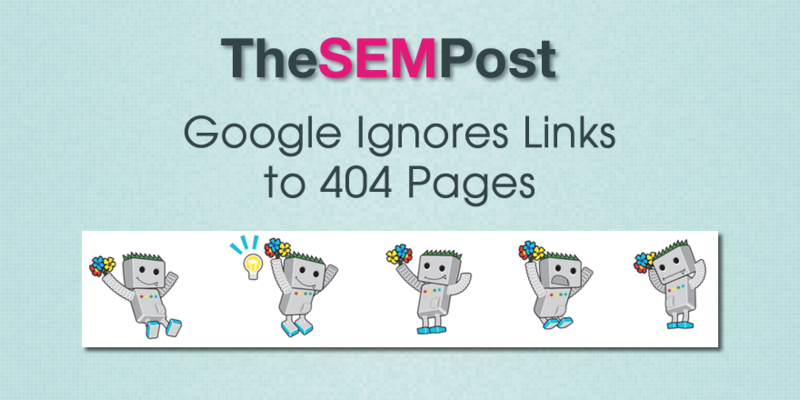 Illyes says that Google ignores links that lead to a 404 page. And then was asked another followup question, if there were differences between regular 404s and soft 404s when it comes to links that lead to those 404s. @SEO-Portal: You say that Google ignores Links leading to 404 pages. Are Soft-404 treated in the same fashion? @methode: yes, they are. Generally, with a few exceptions, if a page is not indexed, its links are ignored too. While he doesn’t go into detail about the “few exceptions”, it is interesting that links pointing towards a 404 page do not count towards the site at all. This is really good information. This will give website owners a chance to get their websites running again without the fear of penalty.